Des Moines Area Roofing is your solution for all your roofing problems. We specialize in full roof replacements, roof installation, roof repairs, and gutter installation for your Central Iowa property. We pride ourselves on fast turnaround times and high quality service. Most of our jobs are completed in just one day, with a lifetime warranty backed by outstanding customer service. With Des Moines Area Roofing by your side, you’ll never have to worry. Des Moines Area Roofing is a locally owned and operated company, servicing Central Iowa and surrounding areas. Our crews perform residential and commercial re-roofs and repairs. Our start-to-finish solutions will ensure that all your roofing needs are completed on time and within your budget. Leave the work to us! 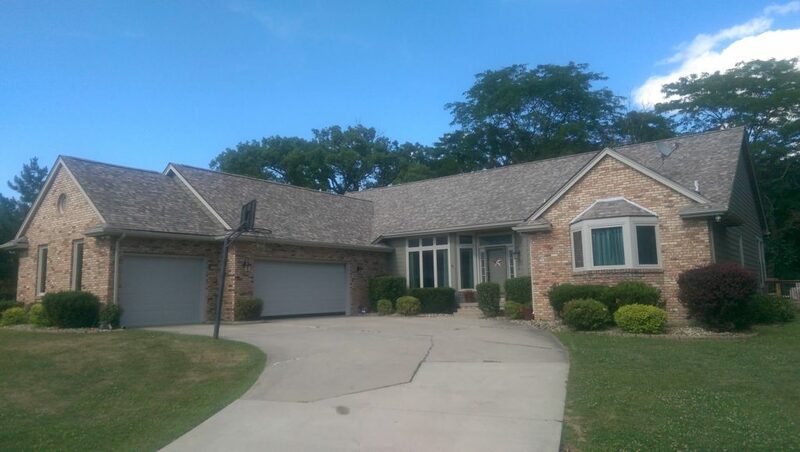 Premium roofing systems from Des Moines Area Roofing are backed by a lifetime warranty. We install your roof in just one day—including cleanup and removal of your existing/old roof, so there’s no mess in your yard. If your roof is damaged, leaking, in need of maintenance or repairs, Des Moines Area Roofing can help! Give us a call today for a free quote. We offer roofing repairs and our roof maintenance plans can help prevent damage from occurring in the first place. Keep the rain and snow where it’s supposed to be—outside! Properly installed rain gutters can protect your roof, siding, foundation, driveway, patio, and more from damage. With the unpredictable weather in Iowa, that damage can happen quickly. We’ll work with you to identify the best rain gutter system for your home.